"Splendid Politics" takes over the MBC Mondays & Tuesdays 21:55 time slot previously occupied by "Shine or Go Crazy" and followed by "Glamorous Temptation" October, 2015. Early Korean working title was "Jungmyung Gongju" (literally "Princess Jungmyung") and then changed to "Hwaryeohan Jungchi" (literally "Splendid Politics"). The Korean title was then further shortened from "Hwaryeohan Jungchi" to "Hwajung." First script reading took place February 8, 2015 at MBC Broadcasting Station in Sangam, South Korea. Magery Dec 24 2018 3:48 pm Dont like action movies but really love this one.I am currently at ep 32 and its awesome.love the characters and the story and all that has to be loved about it. Why is the ratings so low and why wasnt the main female cast awarded. Cant wait to see the end. tncdel Jul 02 2017 12:55 am I've watched about 200 K-dramas over the years, including some from back in the 90's [such as the 1993 version of "Il-Jimae"], including well over 50 historical dramas. 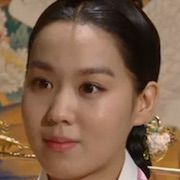 And "Hwajung" often became so boring that I frequently set my DVD player on high speed to get through the dull predictable parts that you could see getting ready to unfold long before it happened. Although being saddled with a lousy script was by far the biggest factor as to why this drama turned out to be relatively a flop, a lot of blame I think went to the casting of Lee Yeon-Hee in the role of the Princess. 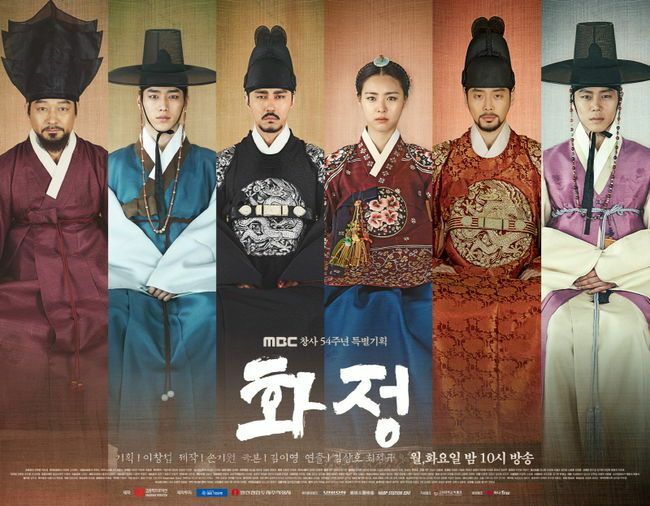 Competent performances by Cha Seung-Won, Han Joo-Wan, Cho Seong-Ha, Choi Jong-Hwan, Kim Yeo-Jin, Jung Woong-In, and Gong Myung helped save "Hwajung" from being a total disaster. Fan Jun 14 2016 4:00 am So many 5urprise member here. Seo kang joon, Gong Myung and Lee Tae Hwan fighting.! Anyways, it still worth the effort though the writer and director could have really made it a BIG HIT . . .
Anika Dec 01 2015 1:38 pm Can someone tell me what's the instrumental music at the end of the series? Nikkie Nov 02 2015 4:31 am Lee Yeon Hee did well in her role. She acted according to the script, so no one should criticise her acting skill. Good job Lee Yeon Hee. iam Oct 05 2015 8:36 am I like Lee Yeon Hee's voice and how she carries herself throughout her role as a vagabond 'princess' aka male and then back to being one in the palace. This is one of the best historical. Enjoyed throughout. Aliciya Oct 01 2015 12:47 pm Lee Yeon Hee's acting wasn't bad and she didn't ruined the drama, the script was written that way, I loved the princess in the first 20 episodes more than the rest of the drama ! You can watch it for her "revenge" and her come back to the palace, but after with the pathetic king, that was boring ! I thought because she was the princess of the prophecy there would be something big just like in The Great Queen Seondeok but nothing ! Too bad !! But good drama. Roby Sep 29 2015 12:07 pm My observations. Lee Yeon Hee character seems to be re-written for a different personality after she became the Princess. I kept wondering what happen to that actress from the beginning of "Episode 12" interacting with Prince Gwanghae for the first time. After becoming the Princess, the dynamic of the actress seem to be off. I can only conclude that this was a result of the script writers and the direction she was given. I kept waiting and wanting the actress from Episode 12 to show up in the later episodes as the Princess. blossom Sep 17 2015 12:06 pm Did the princess ever get married in this drama? Bob Sep 04 2015 2:53 pm Soooo Bad!!!!!! Acting is horrid.... The King, Crown prince, and Royal Princes crying was ridiculously fake.... For a 50 episode period drama could they have at least worked on making slightly better battle scenes!!!! Really looks like they had no budget at all to work with. Often when there is no budget they make up for it with breath taking locations, but they don't even make an effort on that either. The story is so strange. The princess "a member of the royal family" almost lost her life because of a voodoo doll buried in the yard but the two men who everyone knows assisted an invading army in taking over the country have little to worry about. That's the best the writers could put together????? I really thought this one would be good. Extremely disappointed!!!!! Lily Sep 02 2015 6:59 am Interesting drama, one of my favorites. Rc137 Aug 25 2015 2:01 pm I am loving this drama. Lot's of things going on so never a dull moment. A bit of a stretch to believe that Lee Yeon Hee is a guy (in men's clothing) but you just have to go with it. Same as in any other Kdrama where the lead actress is going incognito as a guy. They still look pretty (especially Lee Yeon Hee). Best performance by Lee Yeon Hee of all the dramas I've seen her in. Was a little worried when she got framed by that evil witch palace maid consort but her supporters saved her. Love it when she goes into attack mode against the incompetent King Injo. Wedding was beautiful. Looking forward to the last 10 remaining episodes (Korea gets invade at least one more time according to history). Actually, all Lee Yeon Hee has to do is stand there in her hanbok and I'll be happy. Claudia Larson Aug 24 2015 9:52 pm I love this Historical. I love the tweaking of the gun powder, the costumes and especially the music. Love to learn about the relationship between Japan, China and Korea and how Korea was invaded by the other two repeatedly. You can understand how attitudes towards each other were formed. The filming is BEAUTIFUL. My favorite Historical was The Great Queen. It really shows how Korea has been ahead of its time. Shortfus Aug 24 2015 6:15 pm This show is getting really bad - the production don't even care about matching what the actors are wearing from one shot to another even though they are still in the same scene. Watch the Princess's head gear (the long ornamental stick that holds her hair bun from the back of her head) during the last scene of the episode 39. It goes from grey stick with green bead at the one end to white stick with no beads - this happens from one head shot to next. They should just change the actor from one shot to a next. It can't get any worse. Shortfus Aug 20 2015 8:41 pm What a waste! I was so looking forward to watching this drama, one of my favorite actor Cha Seung Won starting, how could it go so bad, so quick?!!!! If I hear the phrase "What did you just say?" Or " Your Majusty!" once more, I will toss my dinner. Those are sure signs of fillers by lazy lazy writers. I didn't expect another Jewel in the Palace but come on, this is the worst I have seen from a big production with big name actors. It has no focus, no direction, no drama expect made up one, the king always look as if he just chewed a live cockroach, the princess has no personality to speak of (did anyone for a sec believed that she was a man?) When the villains have more characters, the show is in trouble! So why am I still wasting my time on this show? I keep expecting it to get better since I believe no writes can be that stupid to keep up with this crap and expect to finish the 50 episodes. Come on! Nikita Aug 04 2015 6:58 am This drama quite good even though did not really great as Empress Ki,still one of my favorite.The hanging cliff ending every episode is killing me,because you eager to know every episode. Bob Aug 02 2015 6:57 pm Yeah Gina...... You are so right.... (It takes a certain intelligent mind to analyze things properly before acting so rationally. Wish we had more people like that in this world nowadays.) So just like in the drama we should let people get away with murder!!!! Shoots we should just open all the prisons and let them all go free.... I feel more intelligent now.. True duties of a leader????? How about justice for all! Ya see Gina that's why this Drama got 20th on the 31st ep. That's 1 away from an NR. The writers are disappointing the viewers in many ways. Layzeegodzilla hit the nail on the head with the comments about fake acting and too dramatic. I hope now with this big cast change this Drama gets better. I have no hope for the romance portion because of the bad acting of the Hong Joo-Won and Kang In-Woo romantic roles. Just like Layzeegodzilla said Id rather ship the princess with her Japanese bodyguard! Ozil Aug 02 2015 6:02 am This is just one of the most boring costume drama ever. Very disappointed with the plot and writing. Still can't believe there is still more than 10 episodes before the series end. Gina Jul 31 2015 10:19 pm Excellent drama!! Well written and makes you think about the true duties of a leader and being a human being with morals and ethics. It's not all about revenge, hate and violence. What a breath of fresh air! A balance of brains and heart is what makes a person thrive in this world! Much applause to the writers! I've seen practically all of the historical Korean dramas throughout many years and this is different, in a good way. It takes a certain intelligent mind to analyze things properly before acting so rationally. Wish we had more people like that in this world nowadays. CNM Jul 24 2015 1:40 pm I loved Kim Jae Won, but why did he have to take on such a despicable role of King Injo? I can't watch him in this role! LayzeeGodzilla Jul 23 2015 8:36 am The drama had an excellent started but the downfall began after the Japan arc. Another problem is the script, it's too dramatic; especially Seo Kang-Joon....is there not a darn scene where he's not a drama queen?! On top of it, his acting is so fake and over the top. I don't think he's suited for historical dramas at all. As for romance... let's just say I rather ship the princess with her Japanese bodyguard! Bob Jul 23 2015 12:53 am Ok... so correct me if I am wrong but the "original" plot was the princess has to escape from being killed by Gwanghae and live as a commoner, then come back to get revenge and fulfill the prophesy of becoming the true owner of the land. But what did the writers do? She came back to forgive the people that killed her Brother, Father, locked up her mother and have been trying to kill her for years. But what, she joined hands with them??!! WTF! Is anybody with me on this???? The Princess was actually sitting down and taking advice from Gae Shi..... What she should have been doing is cutting her throat for killing her little brother. Well cant get revenge now!!! Gae Shi and Yi Chum just got their heads cut off by the nut job new King. Well seems he is the one getting the revenge for the murder of his brother. So what can the writers do now to get this plot back on track. Hmmmmm. Bob Jul 21 2015 12:29 pm A comment I read below was "so why viewership is low?" That's because there are no main characters that you can like. The only likeable Characters are the two women that cook! Although the princess has had a few moments where I thought she was going to get better like the time she walked in on the party and called it like it was. The fact that she seems to have forgiven everybody for the murder of her little brother and attempted murder of her on many occasions is stupid. The romance is crap!!! one guy cry's and whines constantly saying Mama Mama Mama and the other is always angry or feeling sorry for himself. I really had High hopes for this one but after 29 episodes they are loosing me. If the princess would do something about at least one of the people that caused her harm I may be able to like her but seriously it has become ridiculously annoying that a princess "one of the most powerful people in the country" would do nothing. I loved Shine or go crazy they took care of business!!!!!! mica Jul 20 2015 2:54 am oh. it's not! it's a different person tho. sorry. it's jo min ki. Rose Jul 15 2015 2:07 am @lika === I agree 100% with you. I just hate Gae Shi and Yi Chum. They are so evil. I hope they get killed soon. I can't believe the King let them live. Gae Shi is also giving some herbs to the concubines so they don't get pregnant. Doesn't the King figure anything out - he only has the one son. Gae Shi is doing that so no one will try to steal his son's place when it is his turn to be King. I don't know why Kyson killed the guy who bribed the armory guy to set the smoke so people could get killed when he could have told that mean Joson Kang was behind it. Now a new scheme will begin maybe against the King. I feel kind of bad for the King, he has mean people around him..
AnjaliWithKings Jul 14 2015 4:15 pm Have to see this drama now because of Yesung's amazing OST!!!!! Jaewon.girl Jul 08 2015 3:30 pm Everyone loved this drama and critics praise it too , so why viewership is low?!!! Beverly Jul 01 2015 7:54 pm The OST on this series is stunning. Gulan Jun 23 2015 7:34 pm Finally, King Injo appeared at the end of episode 21. This is one of those dramas that makes you excited to wait for the next episode to come out, and when it does it never lets us down and leaves us with a cliff hanger and makes us wait another week! Well I suppose you get what I mean but yeah, this drama is amazing... So far. Rose Jun 10 2015 1:25 am I don't like Jung Woong In == he plays Lee Yo Chun. His role in Empress Ki was a nasty creep also. lee joo eun May 29 2015 12:20 pm The drama shows a promising plot and their cast has amazing actors which i have already seen in various dramas and movies..Wow,,i'am already at the end of my wits trying to watch this online..
GieGie May 14 2015 6:43 pm Perfect Drama! it really shows that dirty politics really existed before and also now. Good job! gloria May 11 2015 9:20 pm This story is a depiction of politics of that period. I love political dramas for their intensity and depiction of the different faces of humanity. Gwanghae had to learn how to keep himself alive and gather power so he can outmaneuver his political enemies. The cast are all talented and acting their socks off. Sallll May 08 2015 2:10 pm exactly what blossom said!!! King Gwahghee was never evil, he was a victim of people who had bad intensions! Toxi May 01 2015 8:13 pm Awesome show !! Hsae May 01 2015 3:20 am Just wait for king injo to appear When will he? blossom Apr 30 2015 1:28 pm From what i see, prince Gwanghae is NOT evil in this drama. Instead, he is portrayed as a victim of conflicts between different political fractions. All those evil deeds weren't done by Gwanghae's orders, but were committed by the fraction members in order to gain power. His intentions were well, but somehow became a victim of power struggle. Hard to dislike him here. Great acting by Cha Seung-Won, he's doing an amazing job,,! Nina Apr 27 2015 4:40 am Maybe i will watch this when its complete.. There ara some characters from dong yi and empress ki. 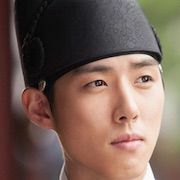 I like korean history dramas but i hate when the prince is evil..
asher Apr 25 2015 5:32 pm @Hln King Injo is gwanghae's nephew.. King Injo was the grandson of King Seonjo and son of Grandprince Jeongwon half brother of Gwanghae. Hln Apr 23 2015 2:59 pm All of a sudden, who is King Injo??? natalischristie Apr 23 2015 9:01 am I wont watch this.. i just finished the kings face and i still in love with seo in guk as prince gwanghae.. i wont see prince gwanghae as evil here.. NO!!! ran Apr 20 2015 6:44 pm so far so good. The casts are doing awesome job! Fiqa Apr 16 2015 4:51 pm The list of cast is impressive! Ever since Gu Family Book, I've been in love with Lee Yeon Hee's acting in historical drama and im hoping her acting will add fuel to the drama's plot. The first episode was exciting and can't wait to see what happens next. eliza Apr 15 2015 11:04 am Judging by the first episode, Gwanghae may eventually be ruthless, but not so one-dimensional as to be labeled "evil." eliza Apr 15 2015 11:01 am So far so good! The first episode was really impressive - building up slowly from a few different angles, promising a complex and wide ranging story, and ending with a rush of adrenaline. Nice! oxa christina Apr 07 2015 3:54 pm i don't skip eny drama with kim jae won in it. tanto amore daa corfu greece. sky Apr 06 2015 9:39 am oh god , this drama 50 episodes ?? it gonna out from my list to watch. its too long time to know how the ending. pchilgem Mar 29 2015 8:18 am The list of cast is just great! Looking forward to it. 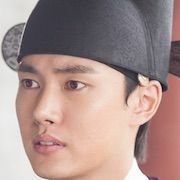 jaime Mar 27 2015 10:41 pm hohoho i enjoyed the king face and really liked kwanghae in the show! glad to see kwanghae back in action tbh even if kwanghae is depicted as a "bad" prince we really can't blame him for his "evil" doings. he led a terrible life lol put in so much effort thinking for the country only to face a selfish dad and corrupted government. i wonder who they will place emphasis on tho. kwanghae, injo or princess? or seo kang jun?! SojinLove Mar 23 2015 8:35 am This should be a huge drama hit since it starred Seung Won and Yeon Hee in one drama together.. Shine Or Go Crazy is truly a daebakk drama but i think this one will be even more DAEBAKKK!!!! csw_craze Mar 14 2015 9:41 am This is incredible. I am counting days for this drama to roll. Cant wait to watch Cha Seung Won. back in action. 50 episodes long is a bonus. mayin Mar 05 2015 7:22 am Am watching because of Kim JaeWon. Ma Ri Mar 03 2015 2:37 pm Go 5urprise oppas. There is a rumor that Tae Hwan is playing the young Gwanghae, but i'll wait for it to be confirmed. Thanks for updating the cast. Flower Feb 25 2015 1:33 am Seo Kang Joon must act this drama Pls accept this role my oppa!! !